Sign-up and receive Property Email Alerts of Residential Estates in Sakabula Golf And Country Estate, Midlands. Sakabula Country Estate is a lifestyle-focused, residential estate. It offers its residents serene country-living in a beautiful, safe, spacious environment. The name "Sakabula" in isiZulu means the Long-Tailed Widowbird and translates directly as "Flirt" or "Show-off". Although the Sakabula Country Estate humbly "country" in culture and style, it really is worthy of showing off. The Estate is located in the beautiful KwaZulu-Natal Midlands - in the Merrivale District (just outside Howick). It has breath-taking views over Midmar Dam, inland to Giants Castle in the Drakensberg and the Karkloof Range dominates the vista to the north. It is not a Golf Estate but, it contains a privately owned 18-hole course. It is not an Eco-Estate although it supports impressive herds of Reedbuck, as well as Duiker, Mongoose and Genet. The variety of birdlife is absolutely incredible. Sakabula is not Equestrian Estate yet, there are many stables and horses. Sakabula Country Estate can therefore only be described as a unique "Lifestyle Estate" offering beautiful, safe, spacious, country-living for its residents. Sakabula was founded in 1995, by the visionary Mr Gerrie De Jong, with the consolidation of 12 farms in the Merrivale area. Clearing for roadways, demarcation of plots and construction of the Golf Course all started in 1996. The last plots were sold by the developer back in 2010. The Golf Course was also sold at the same time (to the current owners). 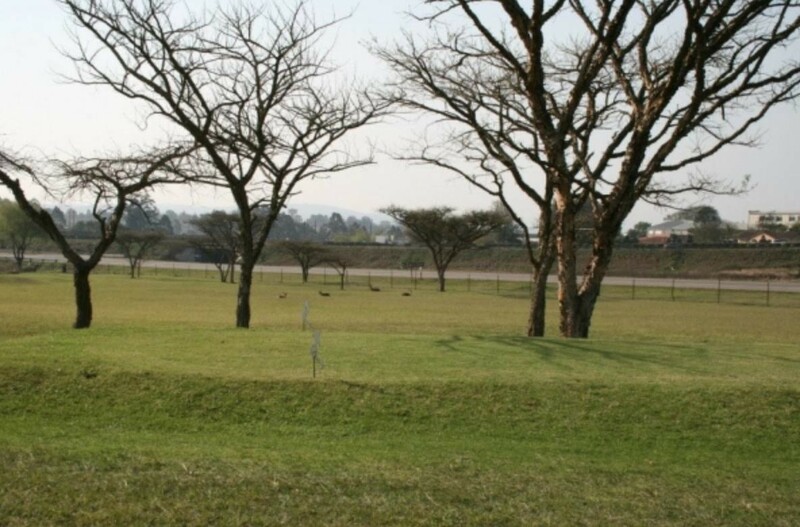 Today Sakabula comprises 102 freehold, residential plots, surrounding the now park-like area of the Sakabula Golf Course with a secure electric fencing. Security is closely monitored with controlled access, guards in 24 hours attendance and night-time patrols. Amenities: Local amenities include a wide variety of shops, supermarkets and businesses as well as the modern Howick and Life Hilton Hospitals. With some of South Africa's best schools in the area, Sakabula Country Estate is an ideal home for traveling professionals and young families who prefer the enjoyment and benefits of country living close to town. Sakabula offers a truly unique country lifestyle!